It sounds like we might not have seen the last of Jesse and Celine on the big screen after all. 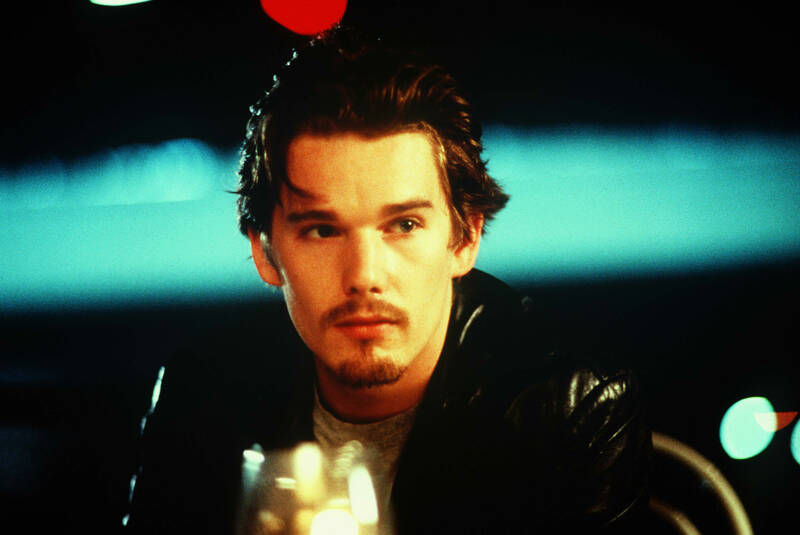 It’s been four years since Jesse and Celine’s hotel fight in Greece broke our hearts, and anyone wondering what the couple at the center of Richard Linklater’s “Before” trilogy is up to nowadays certainly isn’t alone. Is the couple still happily married? Or did that cataclysmic event uproot their entire love story? Linklater’s ambiguous ending to “Before Midnight” hinted at reconciliation, but it didn’t necessarily guarantee it. Hawke recently sat down with The Independent to promote his new movie “Maudie,” in which he stars opposite Sally Hawkins, and the conversation couldn’t help but find its way to the “Before” trilogy, which the actor says is “connected to [his] soul, for lack of a better word.” Every nine years since “Before Sunrise” in 1995, Hawke has reunited with Linklater and co-star Julie Delpy to write and direct another installment. I would have said after the second there was definitely going to be a third one but I do feel complete in that the first one starts with the older couple arguing on the train and by the end of the third one we’ve become that couple. If it were to continue it would change shape. It would be something else. Julie, Rick and I might work together again, we might revisit those characters but it’ll need a new burst of energy. I don’t know what it is. We’re not allowed to think about it until five years after – that’s how we’ve done it every time. “Waking Life” was five years after “Before Sunrise” and “Before Midnight” we met five years after “Before Sunset.” So we’re gonna meet five years after the release of “Before Midnight,” talk about it and see where we wind up. Hawke’s answer may not be a definitive “yes,” but it’s certainly way more optimistic than a “no.” One of the reasons we may end up getting another “Before” movie is because Hawke just can’t seem to stop thinking about Jesse and Celine’s future. He admits the climactic fight in “Before Midnight” is tough to watch, but he views it as something that could actually be healthy for the relationship and not a nail in the coffin. In the years since “Before Midnight,” Hawke has gone on to appear in big budget movies such as “The Magnificent Seven” and “Valerian and the City of a Thousand Planets,” plus indie features like “Maggie’s Plan,” “Born to Be Blue,” and “In the Valley of Violence.” He earned an Oscar nomination for Best Supporting Actor for his role in Linklater’s “Boyhood.” Despite all the eclectic roles he’s taken on, he still holds the “Before” trilogy closest to his heart. Head over to The Independent to read Hawke’s entire interview.